Much anticipation was expected for the Christian alternative metal band Red with the follow-up to their debut release, End of Silence. With the absence of former drummer Hayden Lamb and the direction the band was heading in, expectations were very high for fans of their previous material. Unexpectedly, however, Christians and non-Christians alike have fallen in love with their second studio release, Innocence & Instinct, a concept album concerning the conflict of good and evil inside the human soul. The deluxe edition of their follow-up, released at the same time as the standard edition, included four bonus tracks and a limited edition DVD with bonus material. The original release of Innocence & Instinct is an excellent rock album and this review will primarily be covering the bonus material of the deluxe edition. The four bonus tracks include an album introduction "Intro (Cantro III)," the never before released "Overtake You," "Forever," as well as "Nothing And Everything," a softer piano version of the opening track "Fight Inside." The album's introduction, "Intro (Cantro III)," fits well with this release and is very similar to the intro for Red's previous album, End of Silence, but it comes across as unnecessary and could easily have been left out. "Overtake You" is a decent rock effort that tells the same struggle of good and evil as their previous songs "Fight Inside" and "Death of Me," "I know that I'm dying now, And it seems that I'm so far gone, But not for long, I'll just be strong and keep knowing, That now I will overtake you." "Take It All Away" ended the standard edition on a beautiful high note, which makes the bonus tracks "Overtake You," "Forever," and "Nothing And Everything" seem out of place and like they would have blended better in-between the songs "Shadows" and "Ordinary World." These are not terrible bonus songs, but it just feels like they were not placed in the correct order of the track listing. The making of Innocence & Instinct on the DVD begins with some live concert footage as well as some interviews with the band members about how they prepared themselves before playing concerts. Quickly, the band talks about the terrible accident they went through with their tour van and trailer on November 27, 2007 and how they believed that was God trying to tell them to slow down and think about what they were doing with their lives. Guitarist Jason Rauch speaks briefly about the different influences they had while creating the concept of the new album and viewers see a little in-the-studio footage here and there, but the less than ten-minute documentary ends so quickly that it makes you wonder why Red even bothered interviewing for it. The music video for "Death of Me" is a good professionally filmed and edited product that tells a story about fighting the evil side in all of us. The making of the "Death of Me" music video runs under two and a half minutes, but directors Jon and Andy Erwin take enough time to discuss the concept of the video and how they were able to film two people symbolizing the good and evil in a person. The bonus DVD adds just a little more excitement to this Deluxe Edition, but the viewer will expect more for their money because the DVD's total running time is less than twenty minutes. Perhaps if there was a full-length concert of Red performing new and old material, similar to the concert featured on the deluxe edition of End of Silence, this bonus DVD would have enough energy for the fans to choose this version over the standard edition. When it comes to the bottom line, Innocence & Instinct remains as a superb rock/alternative masterpiece with or without the bonus material. If you are hesitant to pick the standard version over the deluxe edition, try to find a Christian bookstore - Lifeway and Mardel are good places to start - which allows you to hear previews of this release before purchasing it. 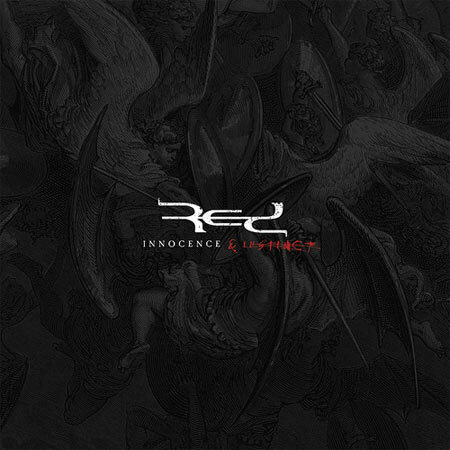 Red is highly recommended to fans of Pillar, Thousand Foot Krutch, Since October, Linkin Park, and Sevendust.